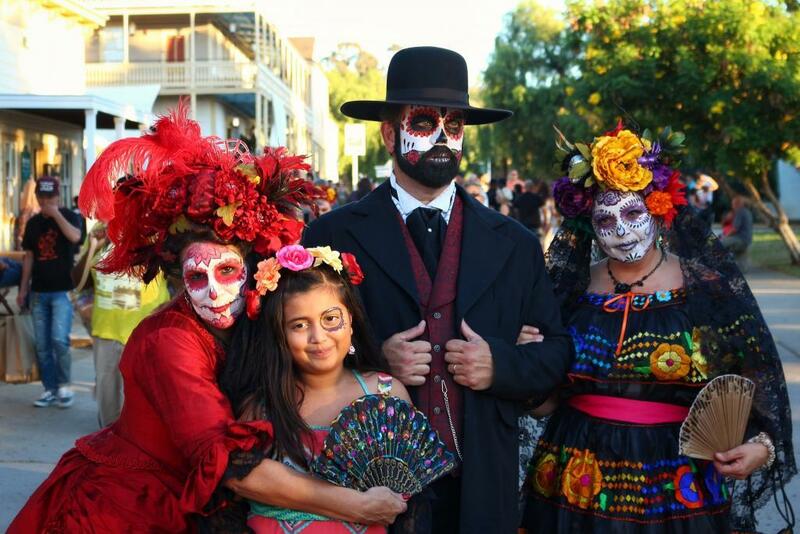 Dia de los Muertos (or in English, Day of the Dead) is a holiday that honor relatives and friends who have passed. The holiday also invites the living to honor the dead with leaving food, drinks, and/or gifts to the graveyard of their family or friends who are no longer living. Murals and altars are also made to celebrate the dead, as those who celebrate also paint their faces in skulls, wear masks and dress up. These rituals are also made to give offerings to the dead so those who are living do not forget the dead. The celebration usually lasts about 3 days in most occasions. The holiday usually takes place on October 31st and lasts until November 2nd. The celebration started from Mexico, so likewise the celebration has since then carried over to the states as Arizona celebrates too each year. Here are our top festivals to go to around the valley below! The Mesa Arts Center will be celebrating on Saturday and Sunday, October 22 and 23. Enjoy LIVE Mexican music from bands like; Mariachi Corzon de Phoenix and Ballet Folklorico Amistad. Also, you will be able to purchase jewelry, arts and crafts, and other merchandise from various vendors. 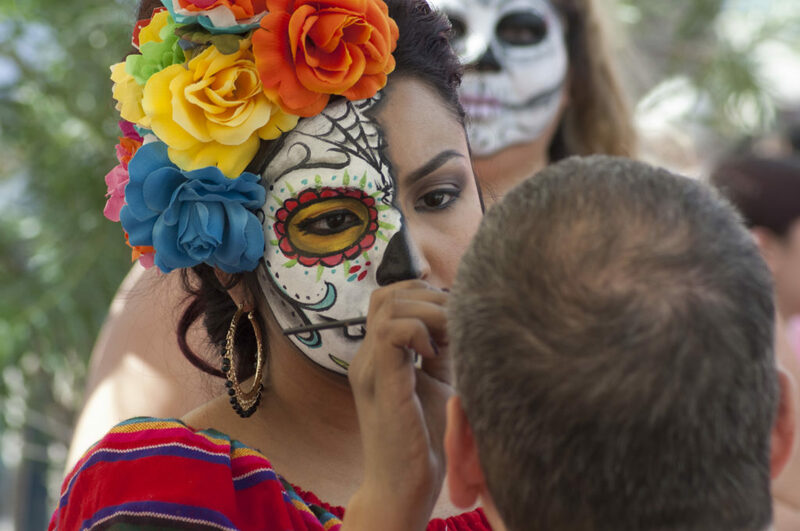 Celebrate Dia De Los Muertos at the Desert Botanical Garden. 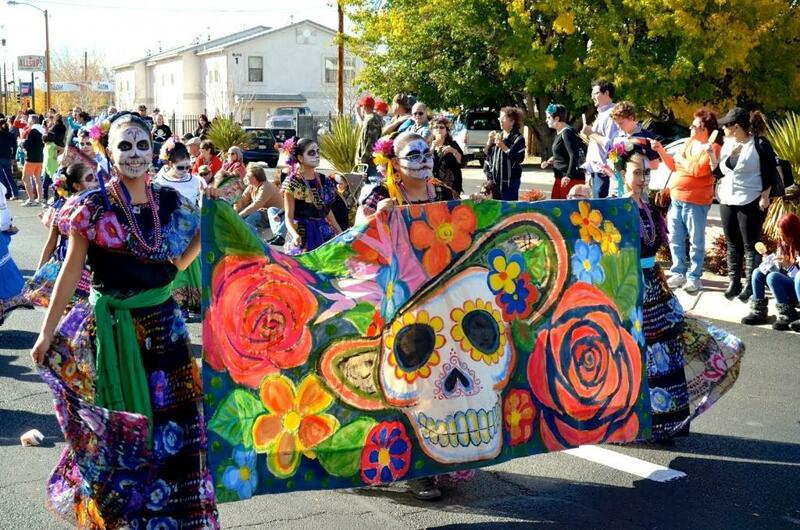 The festival will include music, dancers from the culture and storytelling of the history and meaning of the day of the dead. The celebration will also include an altar for all of those who are attending and for those who will be honoring the dead. Local artists will be creating their own altars, and buy their artwork as vendors will be selling the murals. When: October 29th – October 30th from 10 a.m. to 5 p.m. The Cultural Coalition invites families and friends to bring a blanket and grab a spot on the grass for this seventh annual event which honors and celebrates those who have passed on with music, dance, theater performances and an artists’ mercado featuring local artists and art groups. Food and children’s art activities area will be available as well. 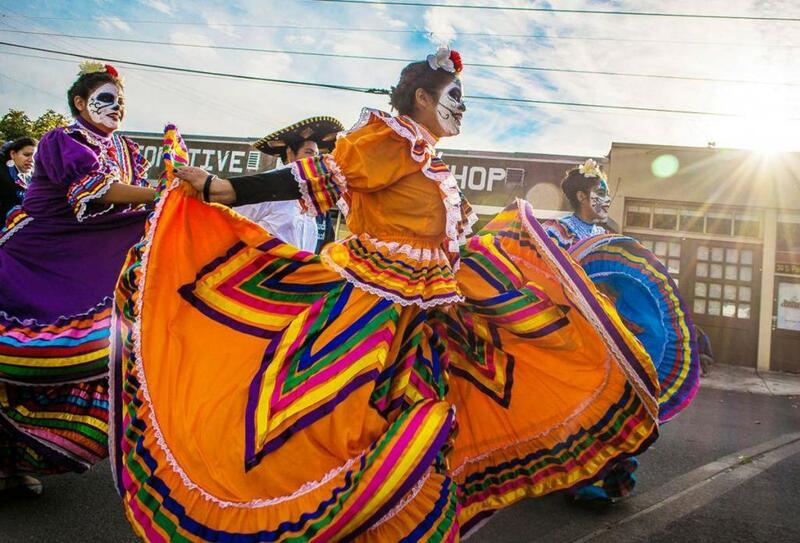 This year, the Downtown Phoenix will be hosting a Dia de los Muertos fundraiser for St. Vincent de Paul in Phoenix. The event will be at the park next to St. Mary’s Basilica on November 4th. The fundraiser will start at 11:00am and will last until 5:00pm. The event will include paintings from local artists, food trucks, live entertainment, and more. This is FREE to attend, but canned food is greatly appreciated.